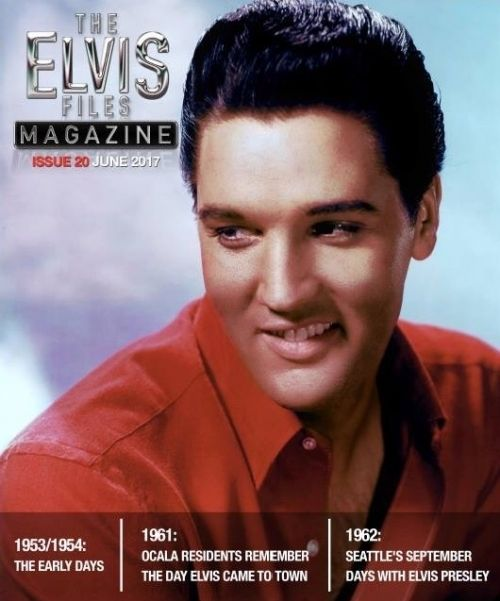 Elvis Files 20 - Misc. I missed it for a while, but last week # 20 of this magazine fell in the mailbox suddenly, a very nice surprise! Like that other magazine from Norway (Flaming Star), this one is also candy for the eye (but it is in English). This issue brings a lot from 1956, Florida 1961 (Follow That Dream) and the main article is focussing on Seattle 1962: It Happened At The World's Fair. A very interesting read is an interview with another favourite of mine, Tony Joe White (well done, Piers!). note: the cover changed text-wise compared to the picture above (but my scanner is out of order).